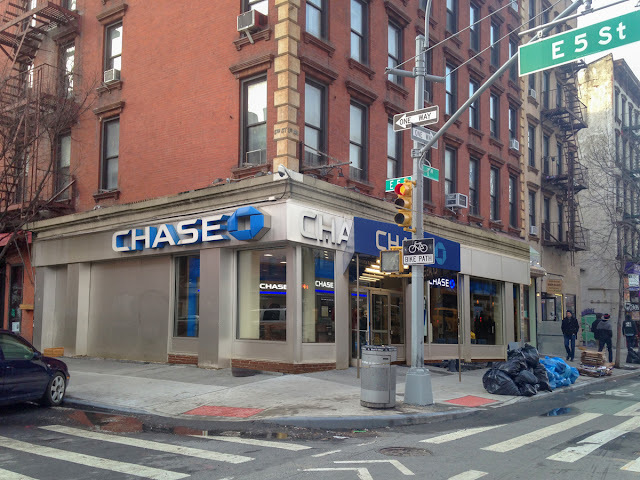 There are so many new chances to have a Chase bank branch open in the East Village, possibly the most Chase-underserved neighborhood in the city! This past Sunday, the beloved Three Of Cups closed, making this location on First Avenue and East 5th Street the newest possibility. 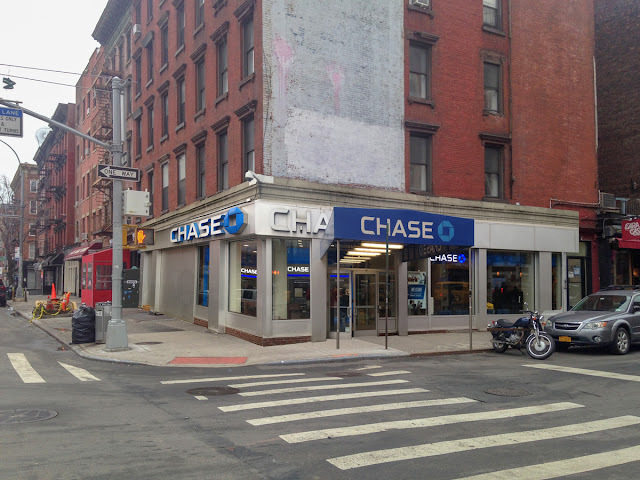 I'm not saying each of these should be a Chase branch — any one of them would be fine.